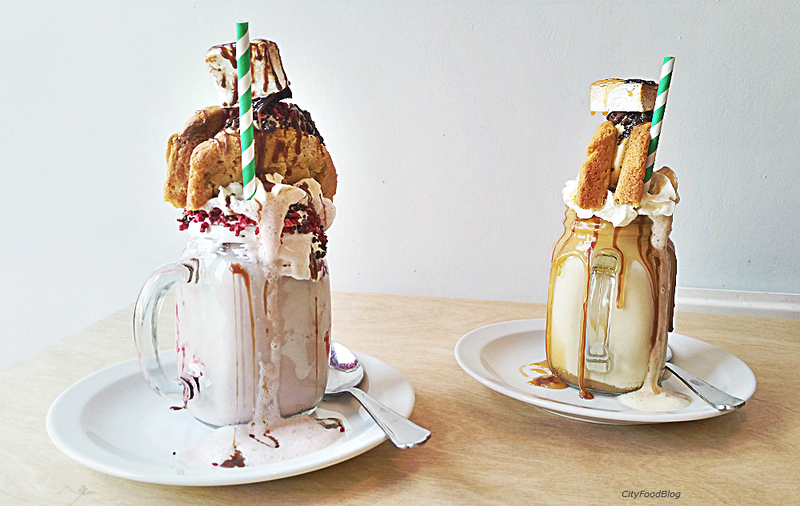 We headed East to try one of the epic milkshakes available at Molly Bakes cafe in Dalston. 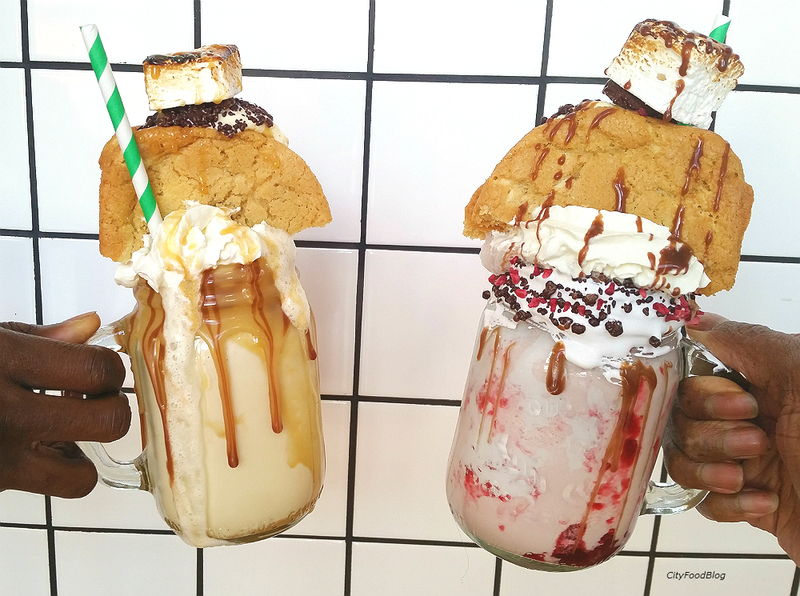 Molly Bakes milkshakes are aptly named a freakshake. You'll understand when you see them! our epic raspberry and caramel freakshakes arrived at our table. Both the raspberry and caramel freakshakes contain whipped cream. Sauce. Popping candy, marshmallow and a folded cookie. Sadly, the cookie wasn't very memorable. Molly Bakes raspberry freakshake is not overly sweet and a bit watery. It's a good option for those after less of a sugar hit. The caramel milkshake is tastier. I prefer it to the raspberry milkshake. However it becomes too sweet by the time you're half way through. Molly Bakes freakshakes are super filling, as any good milkshake should be. The appearance of Molly bakes milkshakes is something amazing. The fact that each freakshake is generously loaded with so many toppings! Found this Molly bakes milkshake review useful? Subscribe to www.gonesunwhere.com for more tips on what to eat in London. This is a review of a freakshake from Molly bakes cafe bakery. Freakshakes are milkshake desserts. Information on the freakshakes at Molly bakes was correct during the time of visit and at the time of this post. The freakshake photos in this blog post are originals, which were taken at Molly bakes cafe in London. Along with any text and personal opinions about Molly bakes cafe and menu are copywritten by said owner of www.gonesunwhere.com. The photographs and text on this blog must not be copied. Distributed. Sold or printed without prior written consent of this travel and lifestyle blog owner. Contact site owner for more details. Leave a comment and share your best holiday destinations. 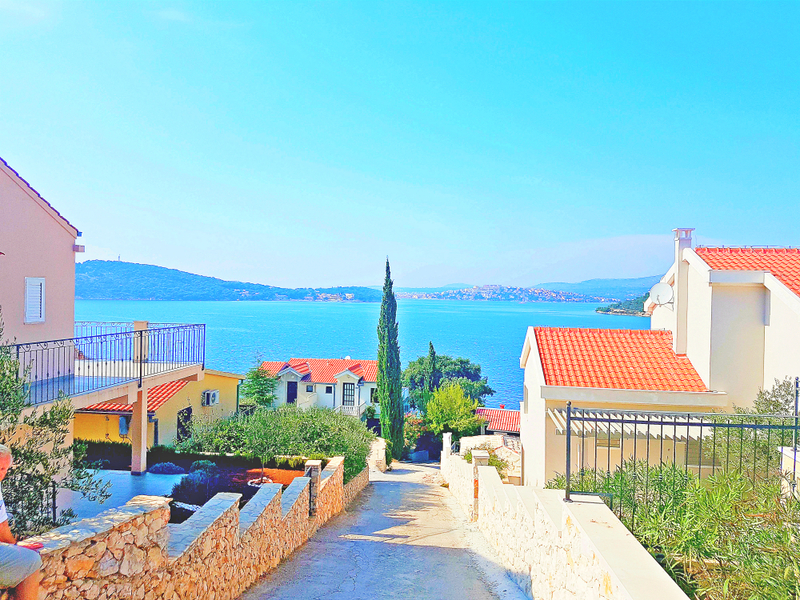 On our holiday to Split, Croatia in September 2016, I wanted to stay at a sea front property. Without paying through the nose. A seemingly perfect accommodation popped up online. Situated in a peaceful seafront village called Kalebova Luka. Along with beautiful photos of sun and clear turquoise waters there were positive reviews from other guests who had stayed there. Some of the reviews were fairly recent too which was a big plus. We stayed in a peaceful sea front apartment, which had it's own balcony. What's nice about staying in a hosts apartment is that you can often experience a more personal welcome and stay. Such was true about our host. Our host was a really friendly local who offered to drive us to the local supermarket and gave us tips and insights that we might never have received had we booked a hotel. This Was Better Than The Number 1 Thing To Do In Cappadocia! Find a place to stay in CappadociaBooking.com If you've heard of Cappadocia - also spelled Kapydokya. Then you'll know that most people travel there to enjoy an amazing hot air balloon ride. Click here to read about my hot air balloon experience. Hot air ballooning is the number one excursion in Cappadocia. However, in my opinion. Although it is an amazing, once in a lifetime excursion. Suprisingly, it's not the best thing to do in Cappadocia. 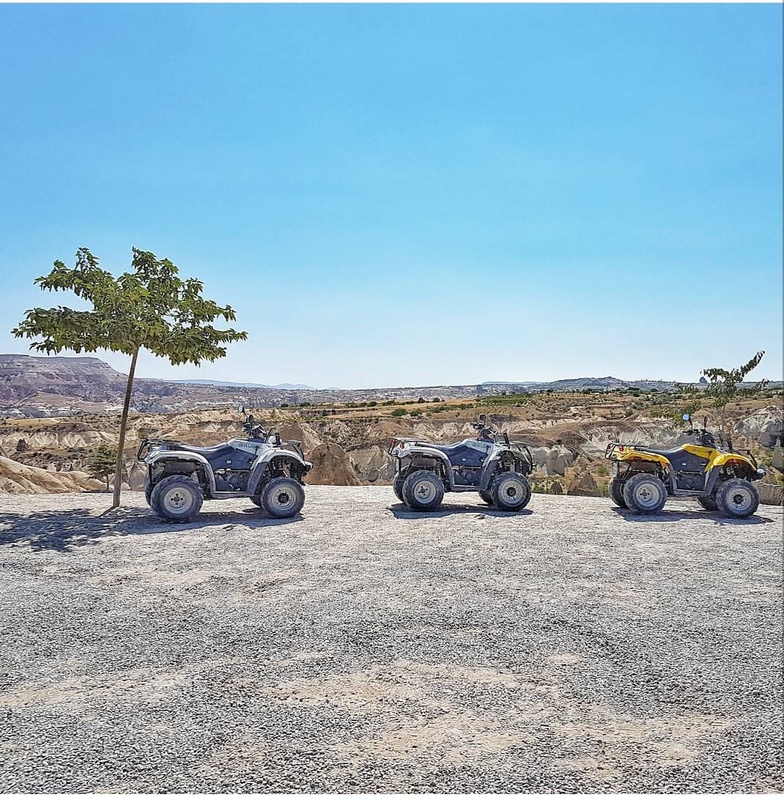 We started our exhilarating atv quad tour in Goreme crossing a main road into some dirt tracks. Lil'a is the musuem hotels very own fine dining restaurant. Lil'a is one of few fine dining restaurants in Cappadocia. 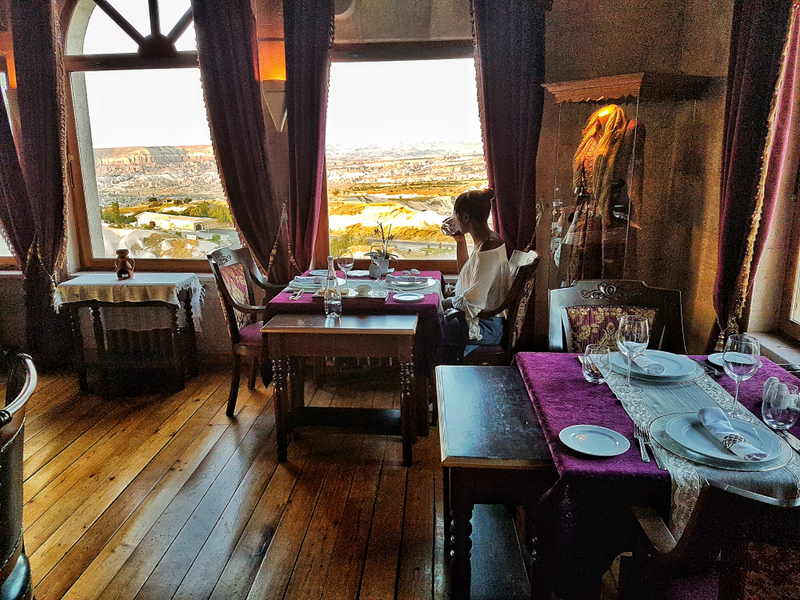 Lil'a is beautifully themed with purple velvet and the views across Cappadocia are spectacular. Enjoy either indoor or outdoor seating at this restaurant.